The Columbus, OH skyline as seen from North Bank Park on the banks of the Scioto River. Creative Commons photo by John Mueller. If you’re in Columbus looking for great coffee, you may find yourself on one end of an odd conversation by retail standards: There is a good chance a barista will urge you to try a rival cafe. 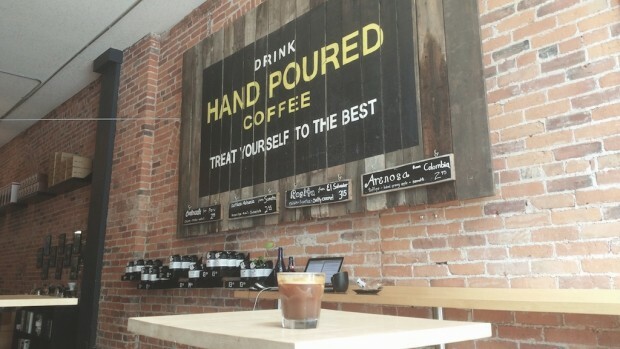 It’s not a trick; it’s the Columbus Coffee Trail, and you owe it to yourself to experience it. 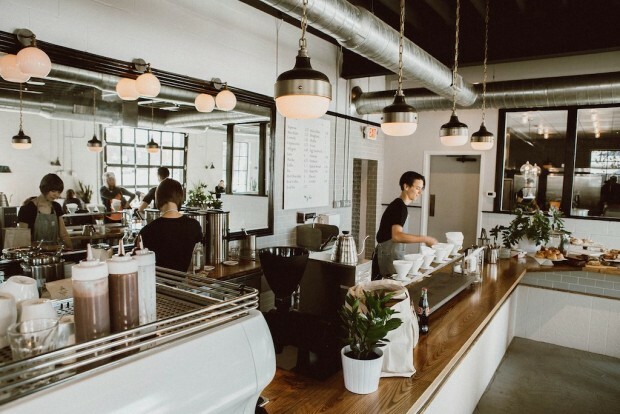 A collaboration of eight independent coffee shops and Experience Columbus, the city’s convention and visitors bureau, the Columbus Coffee Trail is a ‘disloyalty’ program that incentivizes locals and travelers to explore the best coffee outposts in the Ohio state capital. Coffee drinkers can pick up a Coffee Trail Passport Book and, upon visiting four different locations, receive a Columbus Coffee t-shirt and an entry-level view of the city’s well-established coffee scene. Officially called the Columbus Coffee Experience, the Trail is a unique, city-sponsored approach to treating visitors to the city’s best. And more than just featuring great coffee, the Columbus Coffee Trail shows off the city’s entrepreneurial and collaborative spirit. 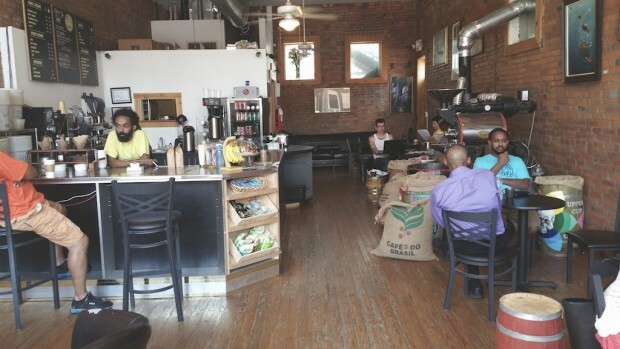 The Coffee Trail fits in perfectly with Columbus’s fantastic food and drink scene. Along with artisanal chains like Jeni’s Splendid Ice Cream and Piada Italian Street Food, Columbus is home to 25 craft breweries who now have their own Ale Trail as well. 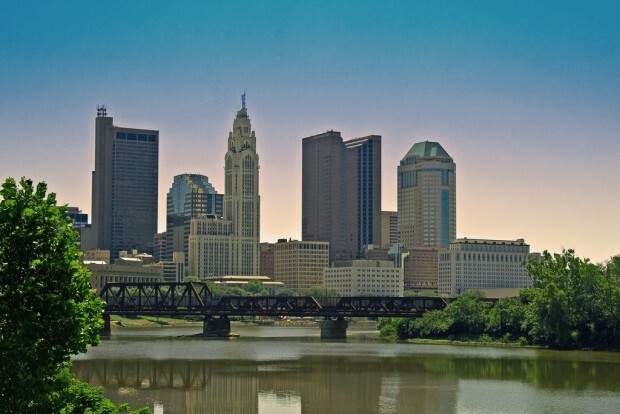 This is great for visitors to the city, but as even better for Columbus residents. As America’s Food Test Market, locals have a chance to try the best new food and drink concepts first. 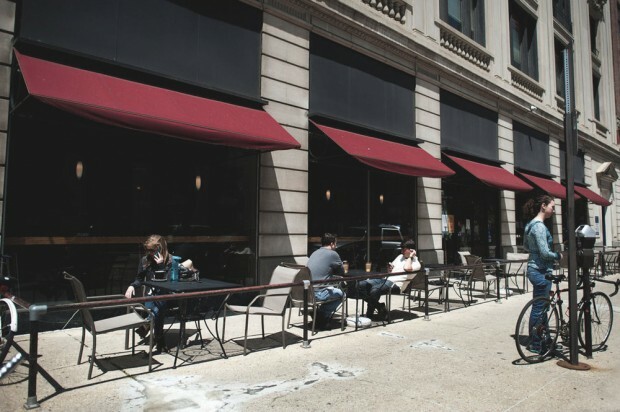 One Line Coffee’s Short North shop is set up like a coffee laboratory, inviting wide-eyed customers to explore a wall of “hand-made” coffees and several tables of interesting coffee gear. The circular bar sits in the middle of the space, with Clevers, v60’s and Kalita Waves hanging from a kitchen-style pot rack overhead. Six large Kyoto cold brew towers line the back wall. 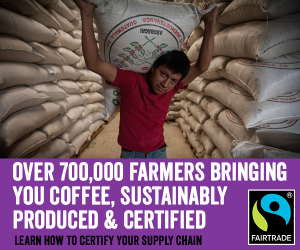 Co-Founder Dave Forman spends 2-3 months out of the year traveling to various countries of origin, setting up relationships with farmers who grow award-winning coffee. 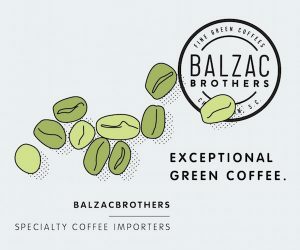 Their latest award winner: The #27 Lot of the 2014 Brazil Cup of Excellence from Fazenda Santa Barbara. When creating signature drinks, One Line lets the coffee guide their recipes. Their popular drink, the Honey Latte, changes depending on the espresso available. To accompany their Short North shop, One Line has a brand-new location in the Huntington Bank Center Building downtown. Opened in 2011, Mission Coffee Co. sits just off High Street in the Short North, occupying a space that resembles the world’s coolest garage. 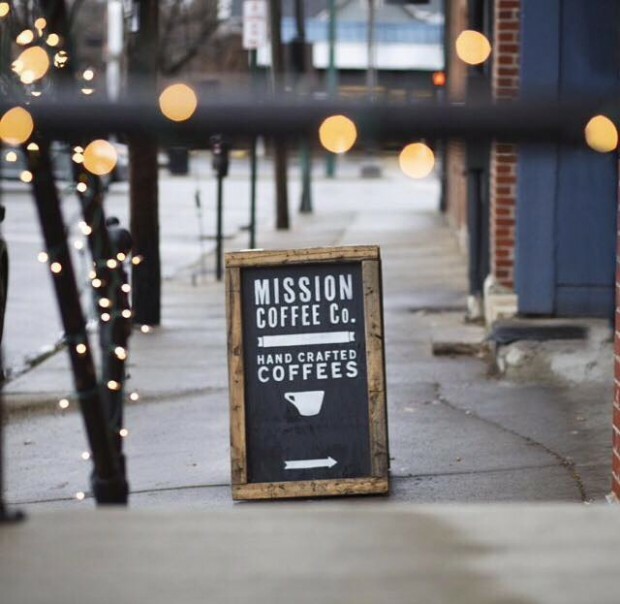 Currently serving Ruby Roasters (Nelsonville, Wis.), Mission is a multi-roaster shop that has also featured coffee from MadCap, Counter Culture and Heart Coffee Roasters. Now, with the addition of their new roasting and training facility, Mission just launched their own line of coffees. In the spring and summer, Mission rolls up their giant garage door to create a large, beautiful street-side cafe. Inside there is seating for every type of coffee drinker, from the lounger (plush couches), to the worker (tables and desks), to the grab-n-goer (standing tables). There is even seating for the coffee-inquirer right up on the espresso bar. Mission also takes its coffee experience outside their shop on wheels, riding their Cold Brew bicycle to events and street corners all around the city. Founded by Stauf’s Coffee alumnus Jeff Davis, Brioso was one of the first shops in the city to explore Third Wave coffee and continue to evolve with the times. While they’re anchored in Downtown Columbus, serving the fast-moving crowd of financial and government workers, they’re opening a new roasting and training facility just a few blocks away that will focus on developing their rebranded line of Brioso Coffee. For almost 10 years, Brioso has roasted coffee in-house, filling the Gay Street Corridor with the smell of roasted coffee on the weekdays. Heavily involved with the community, Brioso provided coffee for Columbus’s first-yet-highly-successful Startup Week. They hope to become even more ingrained in the food-and-drink scene by using their new location to help establishments develop their own roasts. Cafe Brioso’s new location will be on 6th and Long in the emerging Discovery District. 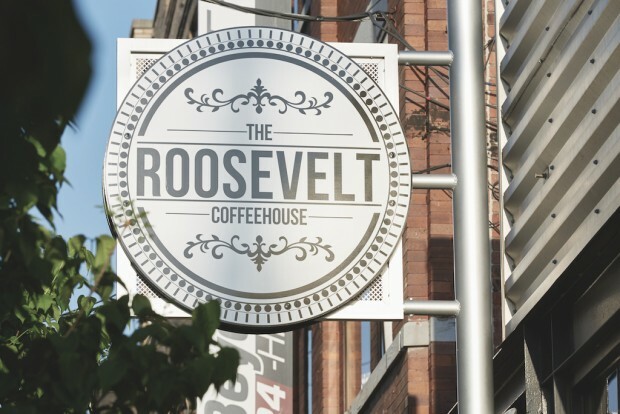 The Roosevelt is the newest establishment on the Columbus Coffee Trail, having just opened in April. It might also have the most unique story, operating as a completely nonprofit organization. Founder Kenny Sipes, a pastor and human rights advocate, opened The Roosevelt to combat hunger, unclean water and human trafficking. In the process, he also hopes to change the way people look at nonprofits. So far the model seems to be working. 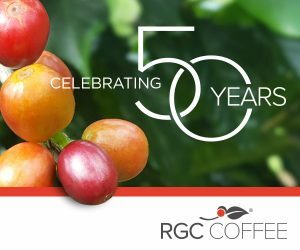 Featuring Stumptown and local One Line Coffee, The Roosevelt has had an immediate impact across several charitable foundations. Their simple, industrial space, anchored by a chrome Modbar, provides customers with the ultimate mix of quality and charitable giving. Founded in 1988, Stauf’s is truly a specialty coffee institution in Columbus. Their large cafes create the optimal third-space environment for anyone looking to sit and work for a few hours. Mark Swanson, CEO of Stauf’s, thinks that variety is the key to providing the best customer experience. This belief can be seen in the rows of coffee, stored in wooden barrels, that line the walls of each shop. Another constant at each location is a coffee roaster in plain view for the customers. Each location roasts its own coffee along with baking its own pastries. This decentralized approach allows Stauf’s to create a personal feel to every shop. It’s part of what has made Stauf’s one of the most popular shops in Central Ohio. Impero is located on High Street, in the heart of the Short North. When it opened in 2008, it was one of the first specialty shops in a neighborhood now teeming with Third Wave cafes. Impero features local companies like Snowville Creamery and creates an intimate experience for their customers. 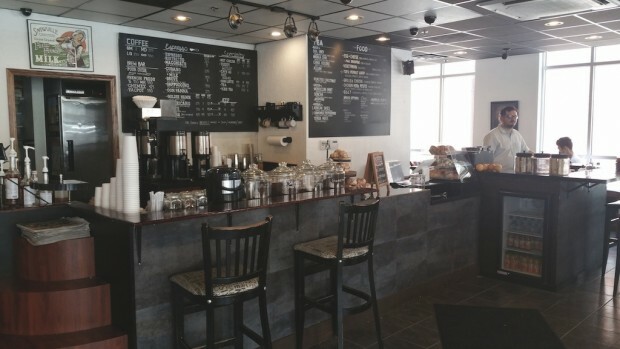 The “living room” feel of the cafe gives regulars a place to get away and enjoy great coffee. “We want people to feel comfortable approaching craft coffee,” said Josh Culberson, a barista who has worked at Impero for two years. Roasting off-site at their second location in Grove City, Impero offers a variety of coffees from Africa and the Americas at any given time. Their cold brew coffee is their best seller year-round. A Dayton, Ohio establishment for over 40 years, Boston Stoker opened its new shop in Columbus just four months ago. Before that, they were on Ohio State’s campus for over two years. When Don Dean founded Boston Stoker, he envisioned it as a cigar shop with free coffee to lure customers. The cigar business is now just a small part of the company (although two of Boston Stoker’s shops have walk-in humidors), but the new Columbus shop pays homage to this history with old wooden signs from the original storefront. Henry Dean, current president of the company, sources Boston Stoker’s coffee through regular trips to origin. Much of their coffee comes from well-established relationships with producers, such as La Minita from Tarazu, Costa Rica. Don Dean bought his first bag of La Minita — which produces Caturra, Catuai, and Typica varieties — in 1981. It’s been a staple in Boston Stoker cafes ever since. Fox In the Snow Facebook photo. 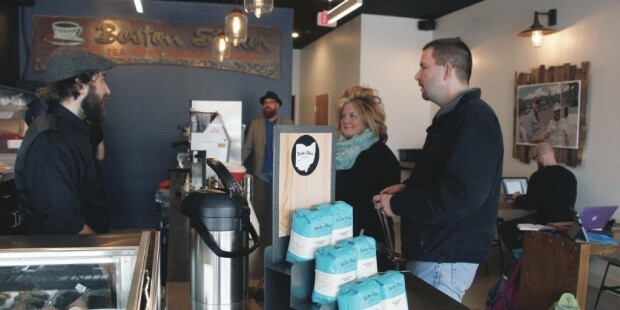 Having opened just six months ago, Fox in the Snow has not yet made it onto the official Columbus Coffee Trail passport, but will likely be featured on its next printing. Owners Jeff Excell and Lauren Culley met while working at Blue Bottle in Brooklyn, New York. They became close with two other colleagues, Will and Cathleen Pratt, who went on to start Tandem Coffee Roasters in Maine. The Columbus cafe now exclusively features Tandem Coffee next to incredible in-house pastries designed by Culley. Fox in the Snow is one of the most beautiful, if not also the most inconspicuous shops in the city. With natural sunlight flooding through the windows and vases of fresh plants on the tables, customers feel like they stumbled into a lush spring glen before realizing they’re still in the Midwest. The unique and refreshing atmosphere almost warrants the cafe’s decision to not install WiFi, although I know a few bloggers who wish they had. If you can track down Raccoon Coffee on a weekend in the summer, expect to be delighted. The shop — housed within a 1957 Trotwood camper trailer — frequents events and private parties throughout the Central Ohio area. It opened in September 2014 as the vision of Ami Iannone and Jake Murphy, who dreamed of adding specialty coffee to Columbus’s fleet of mobile food trucks. Despite being mobile, Raccoon still takes the time to hand-pour its coffee, roasted locally by Café Brioso. They also make their own simple syrups for espresso drinks. To top it off, Raccoon follows “Grandma Tootsie’s” recipes for tiny pies: Small, handheld pastries that are perfect for their grab-n-go clientele. 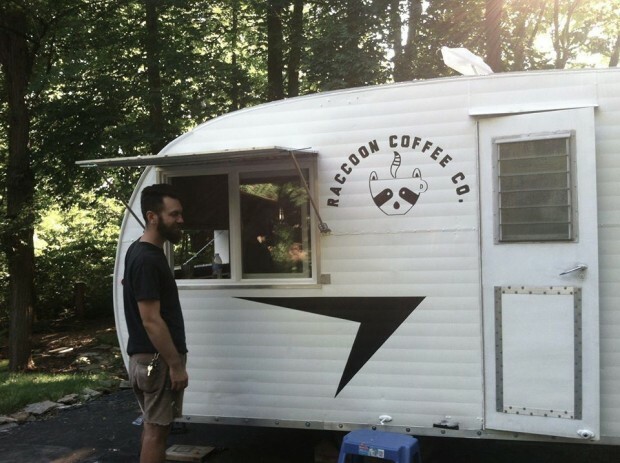 There are innate challenges with running a mobile coffee shop, such as the problem with keeping regular customers, but Raccoon Coffee embraces its chance to meet new people every day. Their presence at events alone adds surprise and delight for guests, not to mention their nostalgic decor. They currently operate only on summer weekends, but as their popularity grows, you may find Raccoon Coffee in the city during the week. The best way to follow along is on Facebook, where they post their location and menu every week. Luck Bros. is one of a few neighborhood favorites in the suburb of Grandview. Combining the design of an old-town Vegas casino with 1950s-style linoleum table tops, Luck Bros. has boldly carved out its own aesthetic. 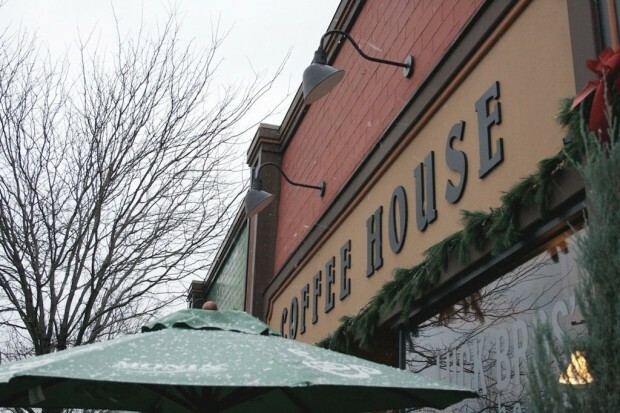 On the daily, swarms of Grandview regulars enjoy fresh-baked pastries, in-house roasted coffee, and espresso drinks made with Snowville milk. For the curious, indecisive, or first-time guests, Luck Bros. offers coffee flights that highlight its best work. For $5, you can get a single shot of espresso, a cappuccino, a cup of cold brew, and a warm, gooey cookie, served on a silver lunch tray. For years, Olde Towne East wasn’t on the map of must-see neighborhoods in Columbus, but for Micael Habte and Upper Cup Coffee, it’s something special. Upper Cup has been on Parsons Avenue since 2011 and has only seen the Olde Towne community grow closer and larger. The neighborhood is in the middle of a revival as people move in, shops open up, and pride grows among the residents. “We wanted to grow with a community rather than try to work our way into one,” said Habte. 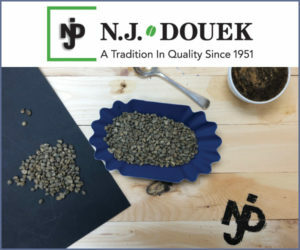 Habte, who is originally from Eritrea on the African horn, started his career in coffee by selling green coffee beans to Columbus’s large Ethiopian and Eritrean populations. When he began roasting, he quickly saw the benefit of owning a retail space. Since its opening, Upper Cup has been a community gathering place and a neighborhood evangelist. Their coffee, which competes with the best in the city, serves as a testament to how far Olde Towne East has come. Ben Putano is a writer and founder of Thwave.co, a coffee blog and marketplace. He is based in Columbus, Ohio. 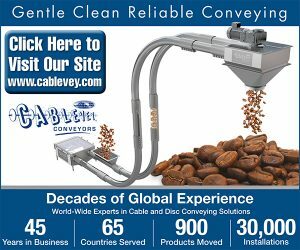 This Florida man will always be a Columbus Ohio Buckeye good luck with your business of coffee brewing I love the stuff again best of luck.